Today I learned from Alex Ross's blog, The Rest Is Noise, that Bruce Kovner, billionaire and Chairman of the Board at Juilliard, is donating a collection of 139 music manuscripts to the School. The range of music spans the 17th to the 20th centuries, from Bach Purcell to Copeland. 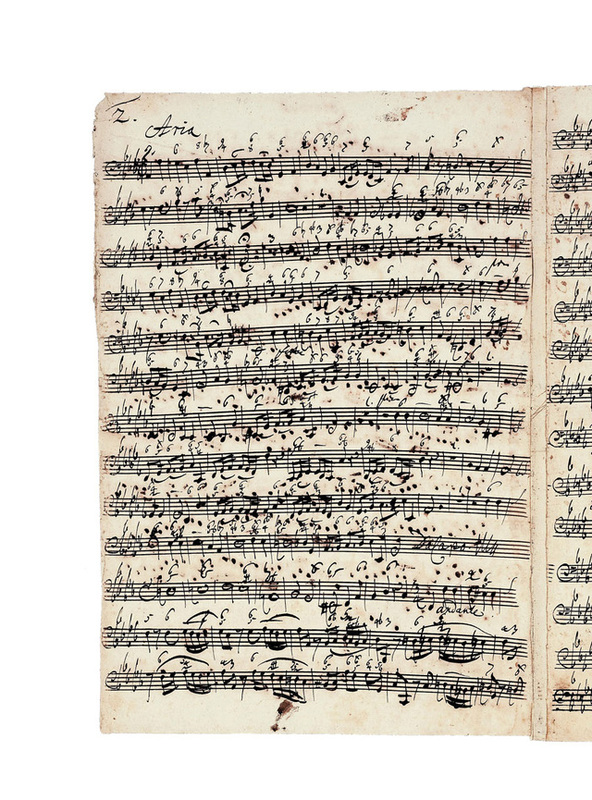 It is the Bach manuscript that interests me most, which is the thought-lost transposed continuo part to Bach's Cantata BWV 176, Er ist ein trotzig und verzagt Ding ("There is something stubborn and fainthearted"). It includes extensive markings by the composer, which is really, really important. Among the scholars who will be examining the manuscripts is Christoph Wolff, a great Bach scholar. I expect he will have great insights into the Bach MS. Scholars will have access to this collection of manuscripts by 2009, and the documents will be kept in a climate controlled room. The collection will bear the name The Juilliard Manuscript Collection (Kovner did not want his name attached in the naming). I am so excited about these manuscripts becoming available to the public. When they are available, I'll be more than ready to see them. UPDATE: I just had the chance to peruse the complete list of the manuscripts contained in this gift, and the presence of early music is really wonderful. There's more Bach (1731 version of the Clavier Übung-Partitas; first editions of the St. John Passion and St. Matthew Passion from the 19th century; first edition of The Art of the Fugue, 1752 [second issue]; chorales from the CPE Bach collection, 1765), as well as Purcell (one of the earliest surviving manuscripts of Dido and Aeneas and The Tempest; an edition of A Banquet of Musick) and some early editions of Rameau (Castor et Pollux) and Handel operas (Rinaldo; Il Radamisto). I can't wait until they are available for study and viewing!